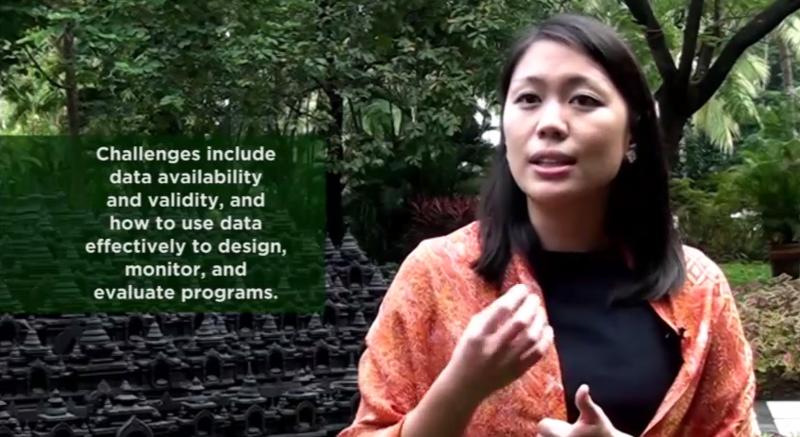 Tanoto Foundation Board of Trustees member Belinda Tanoto weighed in on poverty alleviation in 2 videos by the Foundation. The interviews were conducted on the sidelines of the United Nations Development Programme in Jakarta on April 13, 2015. Ms Tanoto was among panellists who spoke at a session themed “Fostering Committment and Leadership for Philanthropy’s Engagement“. 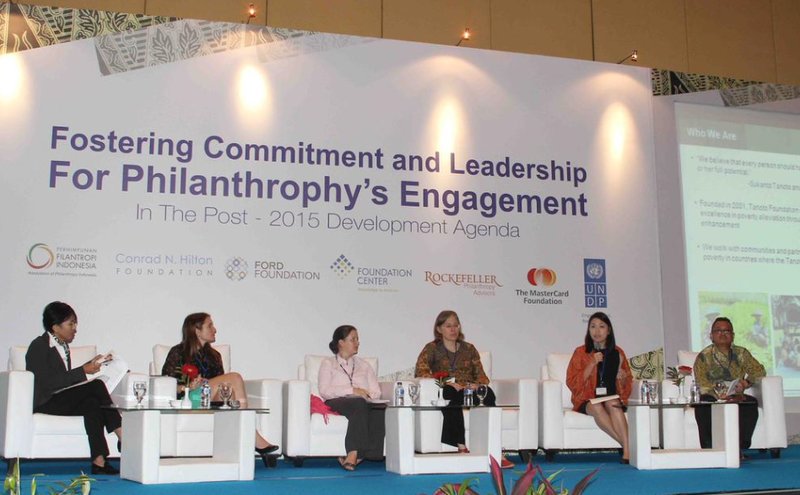 Belinda Tanoto shares the mission and work of Tanoto Foundation at the UNDP session on philanthropy on April 13, 2015. Founded by her parents Sukanto Tanoto and Tinah Bingei Tanoto, Tanoto Foundation focuses its efforts on poverty alleviation through Education, Empowerment and Enhancement. These three E’s underpin the Foundation’s drive to be a centre of excellence for poverty alleviation. Belina Tanoto shared that her parents did not graduate from high school “not because they didn’t want to, but because they couldn’t. They were forced to quit school to help their parents.” She highlighted that the same issues were still present in Indonesia today, where millions of youths drop out of school because they are forced to work to feed their families. Without education, these youths find it challenging to break the intergenerational cycle of poverty. And so in 2001, my parents set up the Foundaiton to alleviate poverty throught the 3 Es: Education, Empowerment and Enhancement. We founded the Foundation because we believe that every person should have the opportunity to realise his or her full potential. Under education, we have two main flagship programmes – Pelita Pendidikan and the scholarship programme. In the school improvement programme, we focus on improving the quality of education in rural Indonesia. To date, we have worked with 320 schools, trained 4,400 teachers and donated 30,000 books. In the scholarship programme, we aim to groom future leaders in Indonesia. People who would otherwise have the opportunity to go to school, will be able to receive tertiary education. For empowerment and enhancement, we work together with our corporate partners to include people at the bottom of the pyramid into the supply chain, whether it is partnering with us as palm oil smallholders or as our contractors in the small and medium enterprises. Ms Tanoto explained there were many challenges to address and overcome. It’s really quite concerning and troubling that a child who is born in Jambi may not have the same access to quality education as a child born in Jakarta. [One challenge is] the availability of data and how we validate and use data to design, monitor and evaluate programmes. It’s all about changing people’s mindsets. How do we incite passion in the teacher? How do we get students to change their behaviour in terms of inculcating good reading habits. Tanoto Foundation contributes to the improvement of the system via provision of resources, building up capacities, training teachers and cultivate in students good hygiene practices and reading habits. A major step towards poverty alleviation can be made if systemic change is achieved. 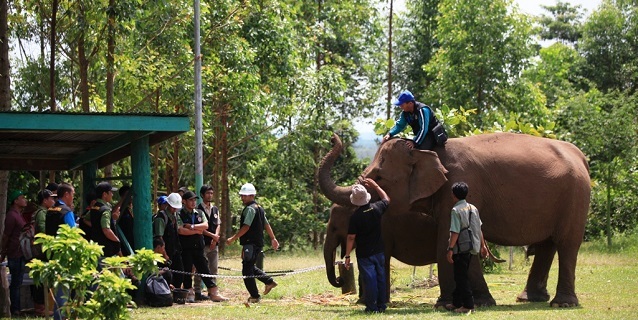 Ms Tanoto believes there should be a focus on collaboration. Key players such as non-state actors, government agencies and other philanthropic organisations can work together, each tapping on their respective strengths while leveraging on one anothers’ work in the pursuit of a common goal – to alleviate poverty in Indonesia. Belinda Tanoto with fellow panellists on CNA’s Perspectives, to be aired June 10, 2015. Belinda Tanoto will be part of a panel discussion on inequality in Asia on Channel NewsAsia Perspectives. The show airs on June 10, 2015 at 8pm Singapore time on Channel NewsAsia. Ms Tanoto will be sharing insights into Tanoto Foundation’s work and how it addresses inequality in Indonesia. 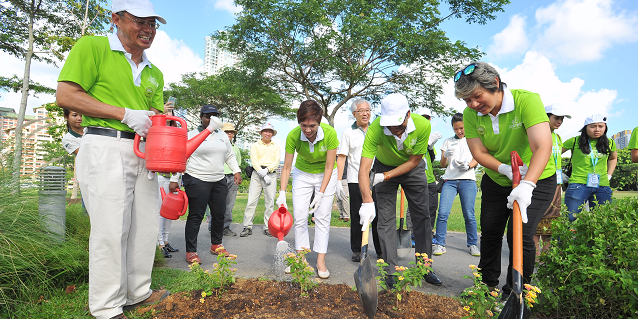 Tanoto Foundation is a non-profit organisation established in 2001 by Sukanto Tanoto and his family, whose philanthropy dates back to 1981. It strives to be the centre of excellence in poverty alleviation through education, empowerment, and enhancement of quality of life.